"I am only one, but I am one. I can't do everything, but I can do something." –Edward Everett Hale, as referenced by Dr. Eric Chivian during his July presentation at Polly Hill on global environmental issues. See recap in Vineyard Gazette, including quotes from VCS executive director Brendan O'Neill. Sand Meets Water, by Cameron Moore, one of six Special Distinctions awarded in the 2017 edition of our high school art contest. View the rest of the entries, then check out our Winners' Gallery, complete with written descriptions by the artists themselves! 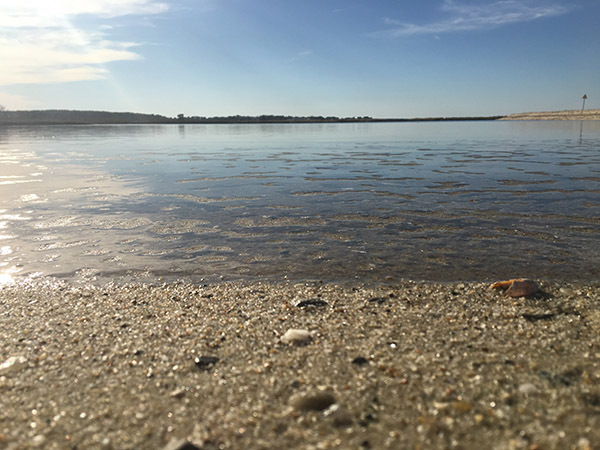 A Felix Neck program that explores a different aspect of Sengekontacket Pond each week. From the birds above to the creatures below the water's surface, this program includes hands-on activities for all ages. Free, no registration req'd, sponsored by Friends of Sengekontacket. Meet at the Little Bridge on Beach Road, on the pond side. For more info, call (508) 627-4850 or see Felix Neck website. Sunday, Aug. 20, 4:00 pm, Edgartown. Documentary film One Big Home, an exploration of the issues – economic, cultural, and personal – surrounding the proliferation of huge houses on Martha's Vineyard, is now showing every other Sunday at Edgartown Cinemas. The film DVD is also now for sale at Alley's, Cronig's, and Bunch of Grapes, as well as at the website. 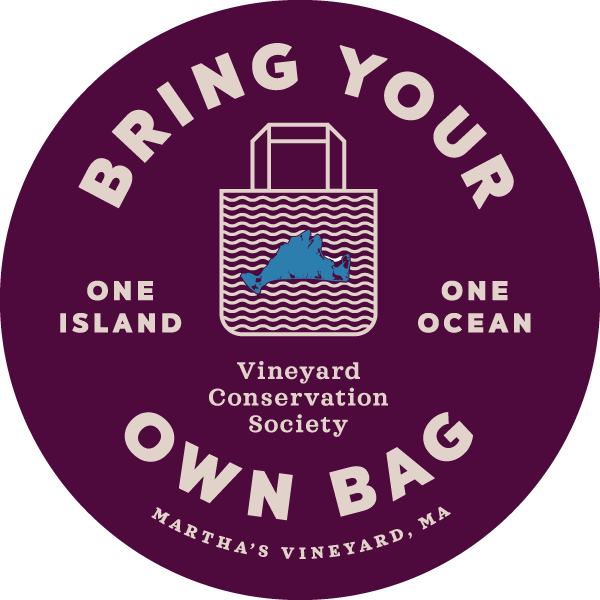 Monday, Aug. 21, 5:00 - 6:00 pm, Vineyard Haven. 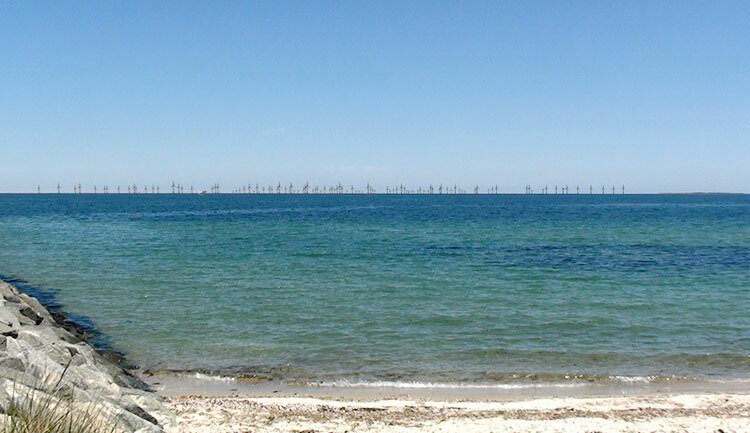 A presentation by Vineyard Wind and Vineyard Power on how visualizations are created of the proposed wind farm off the south shore of the Island. At the Katharine Cornell Theater, free, more info at (508) 693-3002. A decade after Al Gore's highly influential climate change documentary, the sequel arrives to speak truth to power, just when it is needed most. The film is currently showing at the Strand, the Capawock, and the MV Film Center. Check website for dates and times, and get your tickets now! Thursday - Sunday at the Ag Hall in West Tisbury. 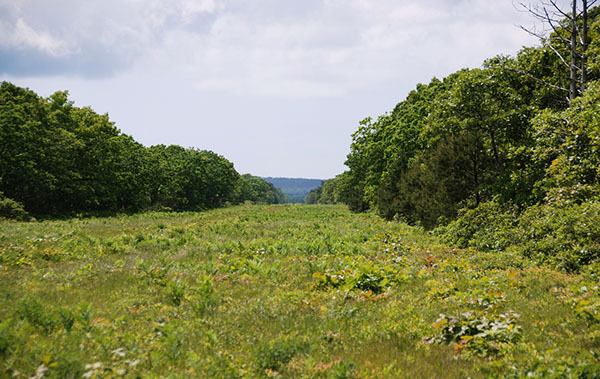 August 23, 9:00 am: Don’t miss this rare opportunity to learn first-hand about the history, ecology, and future management plans for the Manuel Correllus State Forest. Superintendent Chris Bruno will present an overview of the forest and geologist (and former VCS executive director) Bob Woodruff will share its glacial history. Tim Simmons, former restoration ecologist for the state Natural Heritage program, will discuss fire ecology – both wildfire and the use of controlled burning for management. Look for a preview this Friday in the Vineyard Gazette. We will meet at 9:00 am at the parking area off Barnes Road 0.5 miles south of the forest headquarters (see the “P” at the northeast corner of the airport on this map). From there, we will take vans across the fire lanes to the Heath Hen statue overlooking Willow Tree Bottom. The walk, co-sponsored by VCS, is free and open to the public and expected to last about two hours. Rain date is August 24. The website iNaturalist, a photographic compendium of species sightings, now has a page for Martha's Vineyard. Unfortunately there are presently only 33 species recorded! If you'd like to help rectify that record, sign up and contribute your own sightings. 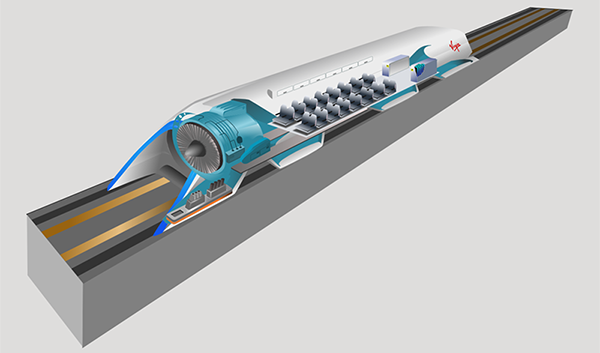 Building on the general wonder surrounding Elon Musk’s latest futuristic endeavor, the Hyperloop, which envisions shooting people at supersonic speed through underground vacuum tubes, the NY Times recently began exploring what may be the more interesting side of this hypothetical new form of mass transit. Assuming it were affordable enough for routine commuting, what would be the social, or demographic consequences? Drawing largely on research done by Jesse Ausubel (Rockefeller University) and colleagues (some dating back to 1985, though see a recent essay here), the Times article argues that the greatest impact would most likely not be a reduction in how long people spend commuting. Historical evidence suggests that today’s average commute time – about a half hour each way – is remarkably similar to that of earlier eras, despite the tremendous technological advances in travel, from walking to horses, to cars, and to subways. Greater speed hasn’t shortened the commute, it has allowed people to live farther from work, enlarging the footprints of cities in the process. Not addressed by the Times story is the question of whether the Hyperloop’s potential speed (New York to Washington in 29 minutes) is an accurate reflection of the true door-to-door commute time. Depending on how you do the math, current commercial aircraft go almost that fast. One obvious improvement over flying would be the ability to put Hyperloop stations right in the city center instead of where airports are usually found. But the larger factors will be in how boarding and security are handled. If Hyperlink ends up working like subways do, that’s one thing, but there’s no reason to assume that it can’t end up looking more like the current airport model. Of course, there’s no guarantee that in the near future subways and buses won’t have their own time-consuming security procedures – other than, perhaps, humanity’s lack of tolerance for an average commute of more than thirty minutes.